An effective headhunter alternative to traditional search firms is recruiting research firms. In fact, executive search research firms like Intellerati look and act a lot like traditional headhunters. We uncover and map prospective candidates — a process known as candidate identification (“candidate ID”) and name generation (“name gen”). Recruiting research firms also profile candidates by enhancing the candidate records with career details, phone and email information, and other relevant information. Even better, some executive search research firms contact and qualify prospects, delivering interested and qualified candidates to your doorstep. Having a recruiting research firm focus on the front end of an executive search saves you valuable time and enables you to focus on more important matters. It frees you up to usher interested candidates through to hire. Moreover, recruitment research firms serve as a natural extension of your own team without increasing headcount. They serve as subject matter experts. In fact, the really good research firms can help your recruiters and talent acquisition teams gain a competitive advantage by leveraging the power of actionable intelligence. Of course, to enjoy the advantages of an executive search intelligence firm, you simply need a reason to begin. 1. Retained search is not an option. Retained executive search firms charge fees that often are in excess of $100,000 per search engagement. Clearly, from a budgetary perspective, retained firms are not the right choice for every executive search. Moreover, retained search engagements fail to complete 40% of the time. Recruiting research firms offer a more collaborative, transparent, and flexible approach that reduces the risk of failure and gives you the opportunity to save. 2. Contingency search is not working for you. Contingency search is great when it works. You only pay when a contingency firm makes a placement. However, when you have a lot of hires to make, those placement fees really add up. Recruiting research firms give you the opportunity to save while eliminating the risk of an opening not getting filled. Contingency firms are often forced to abandon searches that are too hard or that take too long. 3. Job postings are not working for you either. 4. You have an important executive opening that is not at the C- level. Openings at the mid-executive level can be hard to fill. Often the leading retained search firms refuse to work on searches at the Senior Director and Vice President level: they’re simply not lucrative enough. Recruiting research firms are ideally suited to addressing roles at the $150,000-$250,000 compensation range. 5. You have evergreen senior technical openings that will not go away. Recruiting research firms also excel at filling perpetual openings that are highly technical and hard-to-fill — such as partner-level roles on the technical career track. A good recruitment research firm can map, profile, and develop available talent for faster, cost-effective hires. It can also provide you with market insight to inform your search strategy. 6. You do not have the bandwidth to fill all your critical openings. If you have too many important openings and too few recruiters to fill them, recruiting research firms can offer you much-needed relief whenever your bandwidth is maxed out. Because executive search research firms offer unbundled recruiting services, you can get help with whatever part of the recruiting process you need. By using a trusted research partner, you can improve recruiting quality while keeping your talent acquisition headcount low. 7. Your candidate slates have too few women or persons of color. Executive search research is a great way to boost your diversity talent acquisition efforts. Engaging a recruiting research firm to develop a diversity talent pool in advance of your hiring needs can help make sure that your executive candidate slates are diverse. In fact, because many diverse candidates do not self-identify, real research expertise is required to uncover the best and brightest prospects. 8. You need to replace an incumbent senior executive. If you need to replace a senior level executive, a recruiting research firm offers you a much-needed veil of secrecy to recruit qualified, interested candidates while that executive is still in the role. Proactively developing a succession bench also ensures continuity of operations in the event a key senior executive jumps ship. 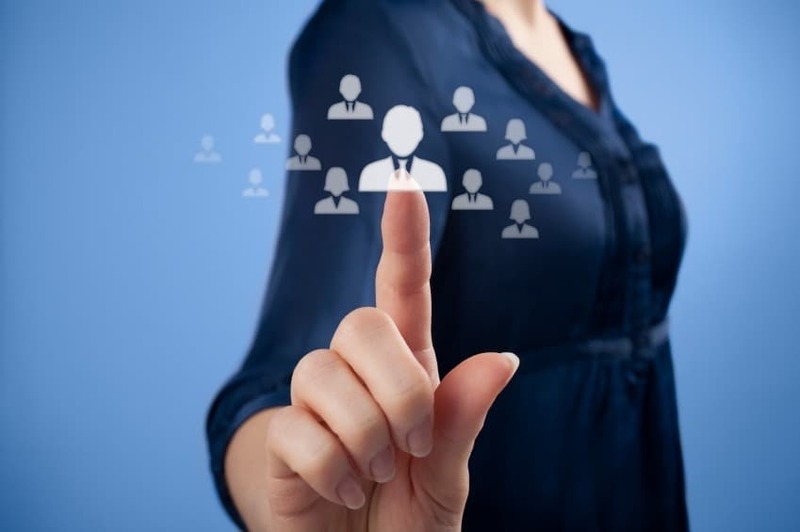 Succession benches are ideally suited for C-level (CXO) roles. 9. Your company has implemented a corporate executive search function. Increasingly, large corporations are establishing internal executive recruiting teams, often led by a former search partner from one of the leading retained executive search firms. Top executive search research firms offer unbundled, flexible, collaborative services tailored to enhance the efforts of internal executive recruiting teams. 10. You are seeking a competitive advantage and unprecedented ROI. In addition to delivering great hires, top executive search research firms help you harness the power of information making you smarter. For example, they can provide you with insight on how your competitors are recruiting and how they may or may not be besting your offers. In fact, when you blend talent acquisition with human capital intelligence the return-on-investment is often profound. In addition to delivering top talent, we have helped clients spot emergent competitors, identify companies for M&A, and save millions in product development costs — all that from a single study of a talent ecosystem. Krista Bradford, Founder & CEO of Intellerati. Investigative TV Journalist-turned-executive-recruiter. Pursuer of truth, justice, and great talent. How Can I Avoid Maddening Google ReCaptchas While Sourcing Candidates?